Unleash your music with BLOCKS Kits and inspiring lyrics from the Wu-Tang legend. Watch the Unleash Your Music film above. Follow four artists finding their own rhythm with BLOCKS Kits in the Unleash Your Music films. RZA discovered his rhythm when he was a young rapper and producer on the brink of forming Wu-Tang Clan and revolutionizing 1990s hip-hop. He can tap into his talent on the spot, creating rhythm and melody out of anything that catches his attention. One thing that’s on his mind alot is musical creativity itself — how the music that’s inside of everyone finds a way to come out. He freestyled on the theme for our new film: Unleash Your Music. Unleash Your Music shows up-and-coming artists who are making music with all kinds of tools including BLOCKS Kits. Hear the stories of LP Giobbi, Alexie Gratia, Lakey Inspired, and Midi Matilda in new films that launch today. Their sounds are very different and they’re all letting their musical voices be heard. When RZA met up in Los Angeles to freestyle some lyrics, it was the latest of many collaborations. 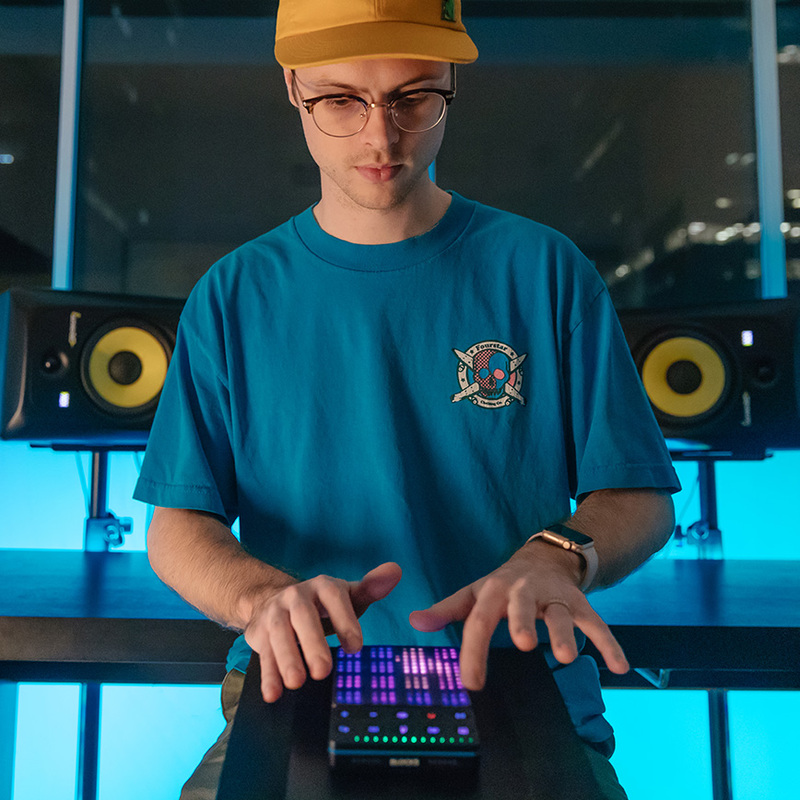 He’s involved with ROLI because he thinks BLOCKS makes it easier for people to make beats. There had been no rehearsal. The Lightpad Block had just been released and no one had much experience playing it. But they found their rhythm, harmony and melody. They had a rough-and-ready jam that was fun because it was creative.